Hamilton May presents a corporate hotel with a shop available for sale along with a plot ready for individual arrangement. 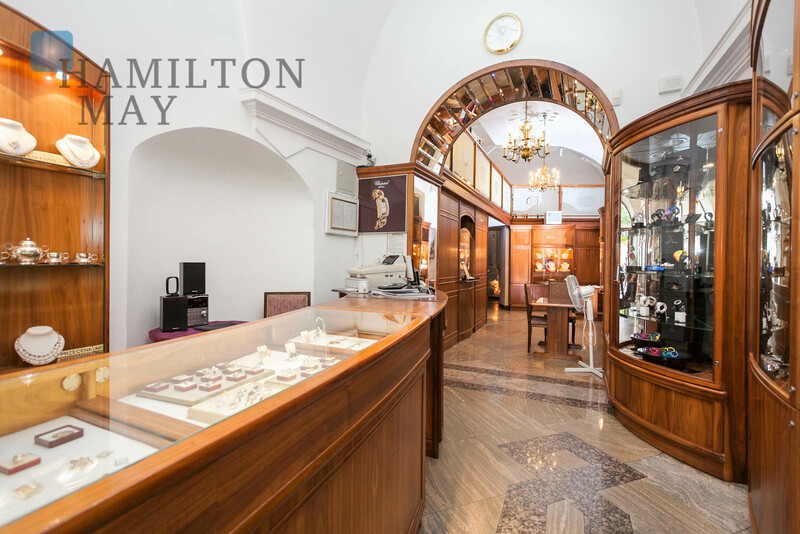 Hamilton May, has to offer, a ground floor retail space, for sale in the heart of Krakow, located at ul. Krowoderska. 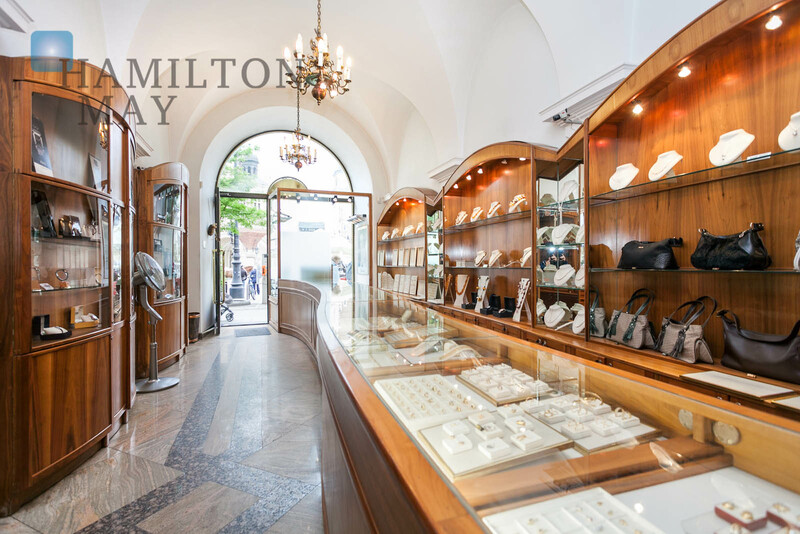 Hamilton May presents sale offers of shops and retail spaces in Krakow, mainly in the city centre and surrounding areas. 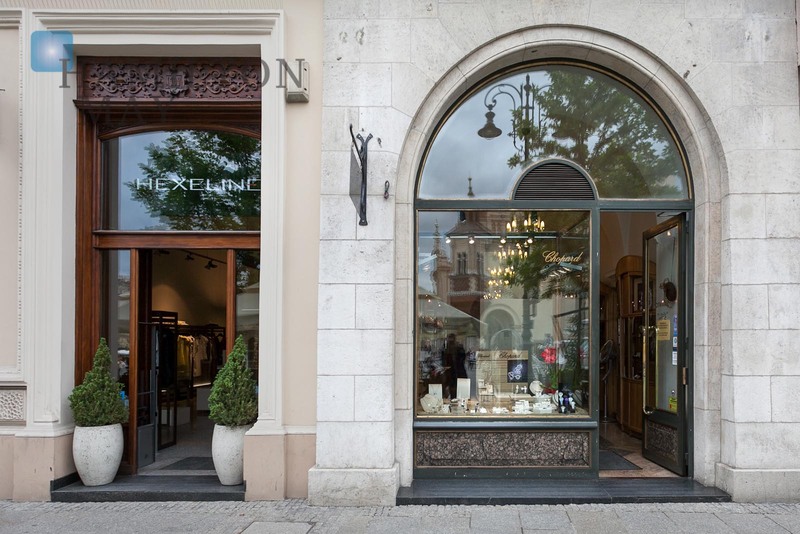 We are pleased to offer a selection of up to date listings of shop and retail spaces for sale in Krakow. Krakow has a mixture of different shop and retail space types to buy, from offers in historic buildings on main thoroughfares in the city centre through to modern shopping centres. In recent years, as Krakow has become more prosperous, many new retail and shopping complexes have been built to meet local demand. Such large new shopping centres are generally owned by large property funds and investors, so the purchase of single spaces in these centres is not possible. For investors and business owners who wish to be in the old centre of Krakow, there is a mixture of retail spaces available to buy in historic tenement buildings. In the old town, several streets such as ul. Grodzka, ul. Florianska and ul. Szewska get a huge amount of daily foot traffic, so retailers will pay top dollar to be in such a location. As a result, sales prices of retail spaces on these streets are high, often above 20000 PLN per square metre. Due to the strong return from owning these spaces, supply is limited. Just outside of the old town are several important high streets with a mixture of retail tenants, including ul. Długa, ul. Karmelicka, ul. Starowislna and ul. Krakowska. Sales prices for retail space on such streets are typically in the range of 10000-15000 PLN per m2. Outside the centre, typically on major thoroughfares, it is possible to buy retail spaces at lower prices in the range of 6000-8000 PLN per m2. Such spaces will be in a mixture of building types and will suit a range of retail types.